“Baby came back,” Musk tweeted on Sunday morning. The company has designed its rockets to be reused, a key part of its effort to drive down costs and make colonizing Mars possible. 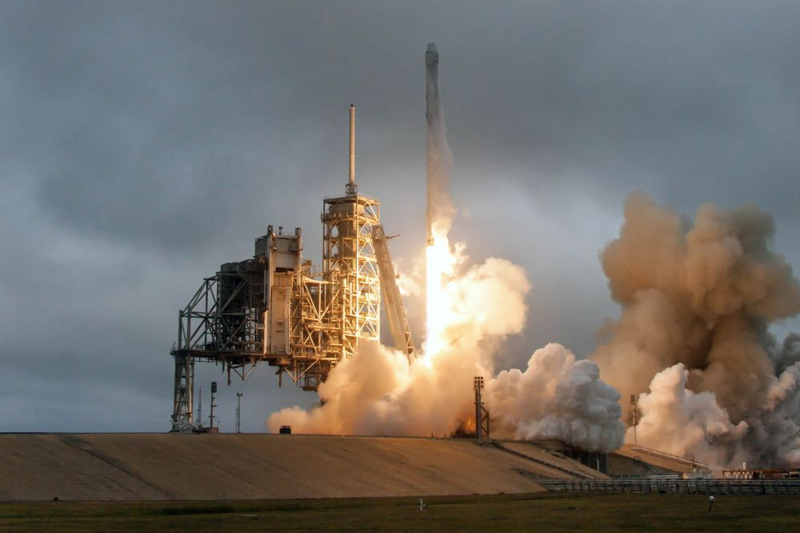 The launch was SpaceX’s first from historic “39A,” the storied complex at the National Aeronautics and Space Administration Kennedy Space Center in Florida that was home to the famed Apollo missions. It was also the company’s second since a fireball destroyed a different rocket and its payload on a Florida launch pad in September. SpaceX, which completed just eight missions in 2016, successfully returned to the skies last month with the delivery of 10 communications satellites into orbit. The rocket is ferrying about 5,500 pounds of research equipment, cargo and supplies to the International Space Station, NASA said in a statement. The payload includes an experiment that will aim to better define how some bacteria become resistant to drugs, and one that will aim to help scientists understand how molecules known as monoclonal antibodies work in the body. The launch was halted Saturday about 13 seconds before its scheduled liftoff because of an issue with the second-stage engine. SpaceX has contracts with the National Aeronautics and Space Administration valued at $4.2 billion to resupply the Space Station using its unmanned Dragon spacecraft and ultimately to ferry astronauts to the station from the U.S. with a version of Dragon that’s capable of carrying crews. The Government Accountability Office said Thursday in a report that SpaceX and competitor Boeing Co. won’t be certified this year to send astronauts to space and may be delayed into 2019 because of potential safety hazards. Musk, who’s also CEO of Tesla Inc., founded SpaceX 15 years ago with the goal of sending humans to Mars. The closely-held company makes rockets at its headquarters in Hawthorne, California, and has contracts to launch commercial satellites as well as fly missions for NASA and the U.S. military.